My dear friend and mentor, is currently working to complete her master’s degree in social work. It has been her joy to find ways to use the fiber arts in her work. Good evening…I was thinking throughout the week, as I was in and out of families lives how our lives are like a weaving. The warp is the “strength” of each weaving. It is the foundation. Just like our families and our community is our foundation. If the foundation is strong, then the weaving is sturdy. It is the same for us. If we have a strong foundation, then we are able to be more resilient. In contrast, if our ” warp” in weaving is not strong, our weaving will have holes, and is weakened. In life, if our foundation is weak, it easily breaks, and we have gap. Sometimes I experience individuals that break easy. The weft is like the lives we live. The more colors and texture we have, the more variety we we have in life, the more beautiful the overall weaving becomes. However, if we do not have enough fiber, the weaving is never finish. In this circumstance, it is hard to even visualize a final project. I have found that within families it is quite similar. Without enough resources, such as friends, money, food, etc, it is hard to visualize a goal. Working as a social worker in people’s lives, I can walk with them to seek more resources, teach them how to develop positive friendships, and find mentors. I then see them start to set some goals. 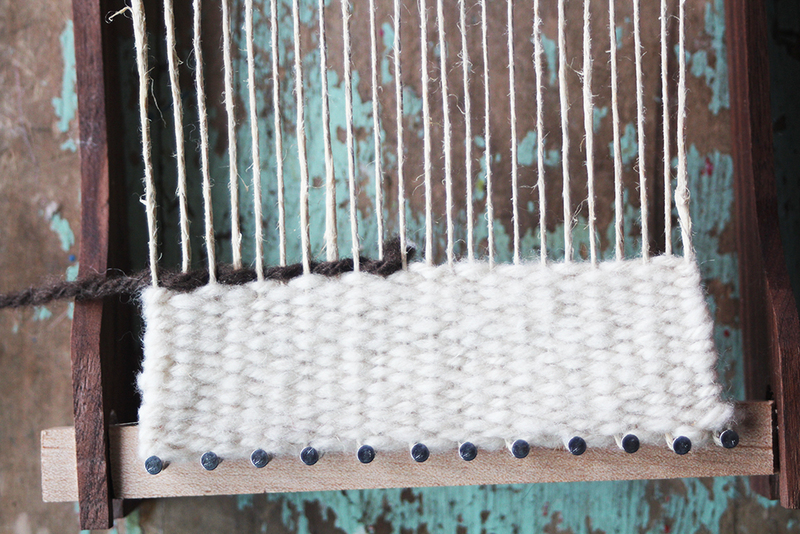 The weaving develops into a beautiful piece of fiber art. As we unravel life together, there are many lessons that lie in a ball of yarn. Next Next post: How can you not want to follow this climb?